Regularly bleached, coloured and heat styled to within an inch of its life - it's fair to say that I put my hair through its paces. So when it comes to caring for it, it's of the utmost importance that I choose good quality products that will nourish and protect it as much as possible. 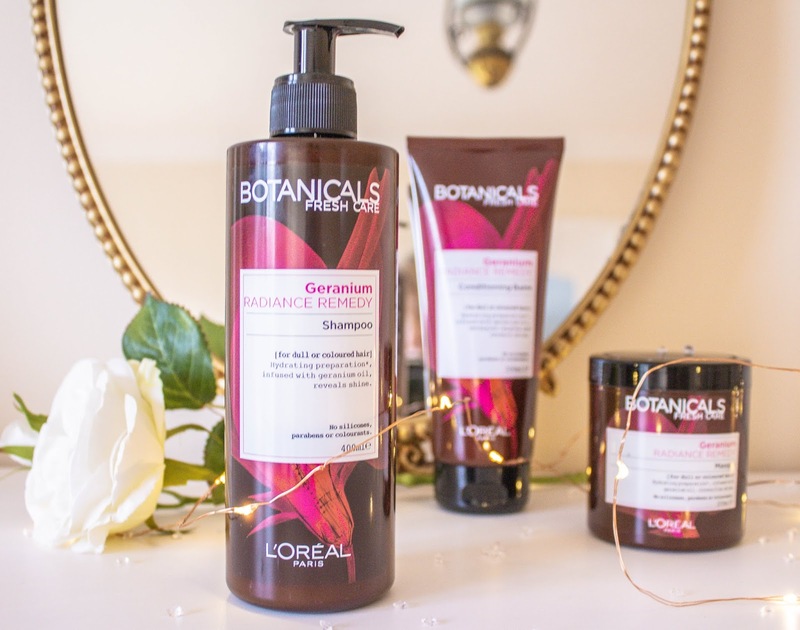 I'm always looking for shampoos and conditioners that will put much needed moisture back into my hair without weighing it down, and when I discovered the L'Oreal Botanicals Fresh Care range, it sounded like exactly what I was looking for. If I'm honest, it was the packaging that first attracted me to this range. I would never have guessed it was L'Oreal, or indeed any drugstore brand, based on the way it looks. It really is quite sleek and beautiful - much more like a high end salon brand than something you can pick up in your local Boots. 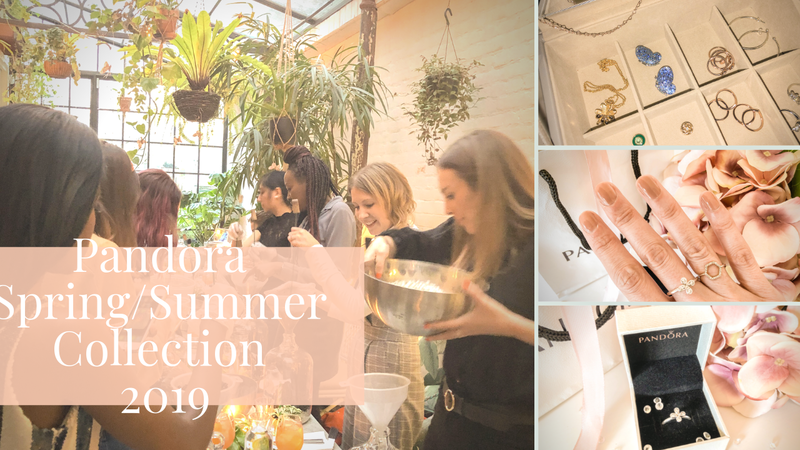 I was even more intrigued when I learned that the whole range is vegan, created from natural botanical ingredients and essential oils, and free from silicones, parabens and colourants. There are several variations within the range: Lavender, for fine and fragile hair, Safflower, for dry hair, Camelina, for unruly hair... as my tresses could be described as any of the above, and since all the different shampoos and conditioners look and smell so delicious, it was hard to know which to choose! I started off with the Lavender masque - a lightweight yet nourishing deep conditioning treatment that I loved so much it found its way into my 2018 Beauty Favourites. 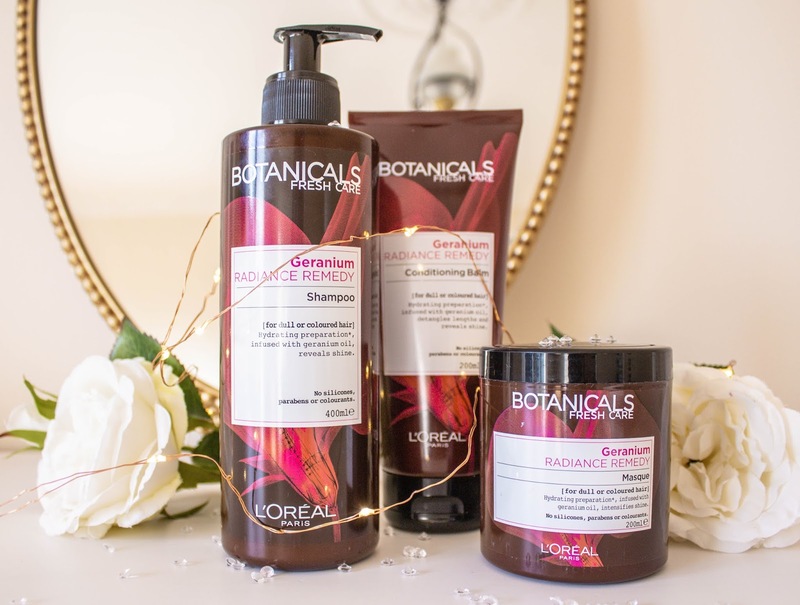 However, I was keen to find something that would prolong the radiance of my freshly coloured hair between appointments, and perhaps add some shine back, so as much as I adore the scent of lavender, I decided to move on to the Geranium products. 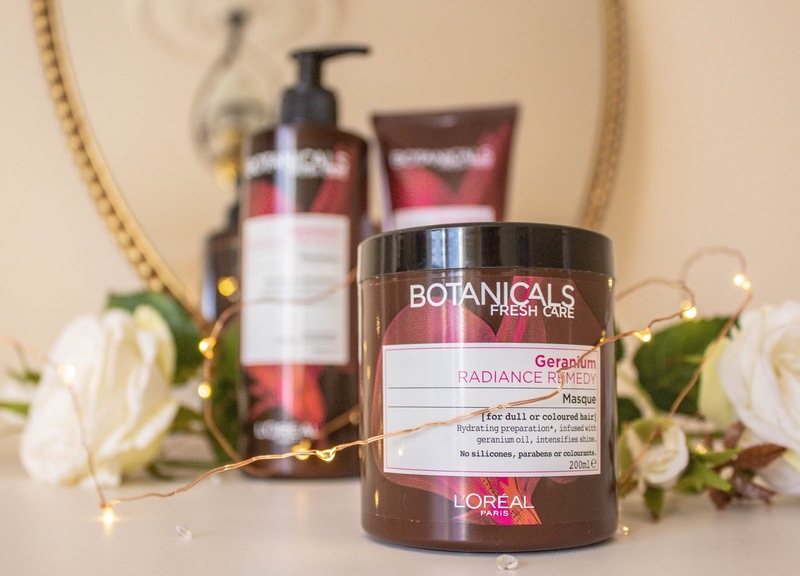 Formulated from a blend of Geranium essential oil, Soya and Coconut oil, the Geranium Radiance Remedy products are specifically targeted to coloured hair, to hydrate, detangle and reveal shine. They are wonderful to use - the products feel creamy and yet light at the same time, and the floral fragrance that fills the shower when I wash my hair is simply glorious. When I've finished conditioning, my hair feels like silk and my Tangle Teezer glides through it effortlessly. I have seen some very mixed reviews of these products, and my feeling is that the range is perhaps more suited to people who, like me, have fine hair. I love that it's left feeling soft, yet still has bounce and body to it. Anything richer might leave my hair weighed down and looking lank and lifeless, but perhaps if you have thicker hair, these products might not quite deliver the results you need. Speaking for myself, I love how they make my hair look and feel. Anything that can breathe new life into my hair when it's overdue to be cut and coloured is a definite keeper in my book! I even think they have helped to restore a little shine, although my bleach treated hair is never going to excel in that department. All in all, I'm a huge fan, and will definitely be repurchasing the Geranium products as well as trying others in the range. 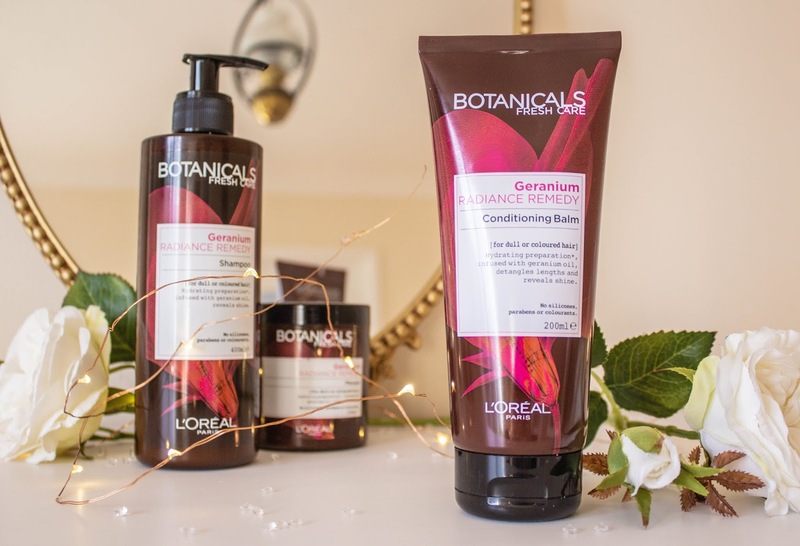 Have you tried the L'Oreal Botanicals Fresh Care range? What hair care products are you loving right now? Have note tried these yet! M hair is similar to yours, and I am constantly shampoo hopping to find something I truly love. So far I only succeeded once, and then they discontinued the product. I've recently heard about this range! I bet it smells amazing! I have fine hair, too. I'll take a look at this line. How smart to have a pump!!! Hi Kate thanks for the review as I am using elumen as well I am trying to find a shampoo that does not strip The colour. I know it is recommended to use elumen wash and treat but it is not paraben free or SSL free.